The lower 2 GB is user space which is separated into 34 slots of 32 MB each for application execution and shared memory. In slot 0 resides a pointer to the currently executed application, slot 1 is used for shared user DLLs (called XIP = execution in place) so that those DLLs do not need to be loaded into each process space again. Slot 2 to slot 34 can be used to load applications. So you can run up to 32 applications with 32 MB of virtual memory each. Now I want to focus on slot 0. Each DLL that is loaded into your system that is NOT an XIP DLL (those are in slot 1) will be loaded into slot 0 from top down. This is also true for DLLs that your currently running process has NO access rights for: if your process were to load an additional DLL it will be placed below the already loaded DLLs regardless of whether or not your process has access rights to them. This is to prevent your process from overwriting any preloaded DLLs. So you see in order to ensure that your process is capable of loading DLLs, it is necessary to reserve the space where preloaded DLLs reside even though your process might not have access rights to all of them. This of course reduces your 32 MB of virtual memory process space. This problem is known as the congestion of slot 0. To make things worse each DLL will be loaded 64 KB aligned and therefore decrease virtual memory even further due to fragmentation. So, what can we do to solve this problem? Well the easiest way would be to move all DLLs to the XIP slot which can only be done in the image namely by placing them in the MODULES section in the corresponding .bib file. But what if we do not have the sources for the image? How now brown cow?? We could at least create one large DLL rather then a lot of small DLLs to avoid fragmentation. The downside of this solution is that applications that do not need the functionality still have the virtual memory reduction. Or we could build a LIB rather than a DLL and link that LIB to each application that needs the functionality. As you probably guessed, there is also a downside to this solution namely that you will need the extra physical memory for each application that links to the here created LIB. Of course applications that do need the functionality exported in the LIB still need the virtual memory as well but this time in there process code which is loaded from bottom up. So you see either way you are not in the clear here; quite the conundrum! This message indicates that some symbols required by the components of the Windows CE Image have "unresolved" symbols. Usually the easiest way to find out the missing function names is to check the correspondig *.def file. Open the coredll.def and check wich function has ordinal number 2508. "Usually" :) you fill find the number, the name of the required function and name of the SYSGEN variable and this is the hint for you which catalog item is missing in you Windows CE Image. in our case (= ordinal numer 2508), under circumstances you won't find this ordinal number in your coredll.def file. The ordinal numer 2508 represents "CeSafeCopyMemory" function which is already included in CE 6.0, but not supported "out of the box" in CE 5.0.
the "CeSafeCopyMemory" function has been added to the coredll.def file by MS thru the QFE (May 2008). Unfortunately this *.def file "update" was not mentioned in the corresponding QFE summary htm file or the list of "modified" source files (which is displayed after succesful QFE installation). if you're missing the ordinal numer 2508 in your Windows CE Image, then install the dedicated QFE (May 2008) or even better install the yearly QFE package which includes all QFEs! This problem shows again how important is the installation of the latest QFEs just to keep your Windows CE environment up to date! The guys from AUG Elektronik in Austria have just started delivering their AMI DevKit for the .NET Micro Framework 3.0. They've done a really good job and you really get your money's worth. The Kit comes in a ESD-Box along with power supply, cables and a USB-stick containing documentation and installation files. Have a look at the benchmarking they did using Pavel Bansky's Tetris. Look forward to seeing you at the Embedded World, Andreas. in just over a week The embedded world 2009 Exhibition&Conference - the world's biggest get-together for the international embedded community - takes place in Nuremberg from 3-5 March with some 700 exhibitors. As there will be a lot going on around Windows Embedded I wanted to make sure you get all the information you need to make sure your trip to Nuremberg is every penny worth. The Microsoft Windows Embedded Team, Hall 11, booth 11-318 will be presenting together with their partners solutions around Windows Embedded CE, Windows Embedded Standard, PosReady and NavReady. Microsoft's Automotive Business Unit, Hall 11, booth 11-414 will be presenting the latest version of their Microsoft Auto platform, alongside a variety of partners showing different integration solutions that are based on the Microsoft Auto platform. Continental will be introducing its latest version of the Multi Media Platform while Elektrobit will be demonstrating a fully integrated navigation solution with LS4D. K2L will be showing its MOST-Integration and Magneti Marelli will demonstrate its Automotive-grade internet-capable in-dash computer based on Microsoft Auto. Nuance will be demonstrating its one shot voice destination entry solution. So, get your bags packed and I'll see you in Nuremberg! for those of you who haven't been following Stefan's post on the .NET MicroFramework and GCC Support but are interested Kevin Townsend has started a new blog and added some more information around this topic. So lets welcome this new blog and thank Kevin for sharing his experiences wih everyone. Look forward to reading some good posts. Setting up a new hardware is always fun. You have to start with OEMInit() but you cannot debug it because KITL isn't running at this time. In OEMInit() you may initialize some optional OAL functions by assigning some global pointers. Under CE 6 this pointers are collected to the global struct g_pOemGlobal. But you can also have a look at the private code: OemGlobal.c unveils the struct and it's default values. The alive LED is back to life now and I'm happy with my powerful grep tool. for all of you which are new to Windows Mobile application developement, take a look at the MSDN Code Galery and get started with this overview of Windows Mobile 6 application development. 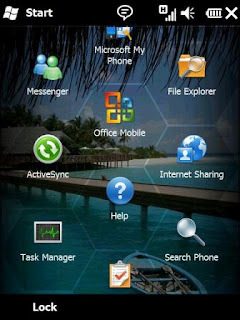 At the following link you will find a video that shows you how to create your first Windows Mobile 6 (Professional) application using Visual Studio 2008. It's very good point to start WM6 application, then this video and the sample code (shown in the video) are available for download. Don’t miss the upcoming Windows Embedded OEM Technical Seminars and Workshops held in Italy in February. Register for these free Seminars and win a HTC Touch Phone! On February 19th 2009, Microsoft and ABACUS invite you to attend the free OEM Technical Seminar and Workshop in Bologna. On February 25th and 26th Microsoft and ARROW invite you to attend the free OEM Technical Seminar and Workshop at the Microsoft office in Rome. Don’t miss tomorrows free MS Webinar! In this 2 hour Webinar you will learn how the various Windows® Embedded operating systems can be used to create industrial embedded devices. Register here for the free Webinar and win a Digital Picture Frame! The Microsoft .NET Compact Framework 3.5 ships with a variety of ready to use UI controls. However, sometimes you might want to make use of controls with a slightly different or entirely different look, feel, and functionality. In this sample-filled webcast Maarten Struys will learn you how to create your own controls that are derived from existing controls, how to create composite controls, and how to create entirely new controls. You also will learn how to add designer support to Microsoft Visual Studio 2008 for your custom controls. today at the Mobile World Congress 2009 in Barcelona Microsoft unveiled new Windows® phones featuring new user-friendly software and services. The next generation of Windows® phones will be based on Windows Mobile 6.5 and feature a new user interface and a richer browsing experience. Windows® phones with WM6.5 will feature two new services: My Phone and Windows® Marketplace for Mobile. With Microsoft My Phone (password-protected web site + on-device application) you should be able to back-up, restore, and manage your mobile phone data in easy way . The new Windows® phones are expected to be available in the second half of 2009. Additional information on companies supporting Windows Mobile 6.5 can be found at http://www.microsoft.com/presspass/events/mobileworldcongress/docs/partnerlist.doc. Have fun & be mobile! Würden Sie hier gerne die Einträge auch auf deutsch lesen? an dieser Stelle würde ich gerne eine Umfrage starten ob das Team auch mal deutsche Einträge ins BLOG stellen soll. Wenn die Nachfrage größer ist würde das Team auch deutsche Einträge einstellen. Freue mich auf Kommentare und Feedback! I would like to know if there is an interest in having posts in German as well. Please let me know what your thoughts are. mark your calendars for a upcomming MSDN webcast about "Creating Compelling and Attractive UIs for Windows Mobile Applications". Presenter of this webcast is Alex Yakhnin, Senior Consultant Mobility. He will explain how to utilize the Alpha blending and Gradient drawing APIs on the Windows Mobile platform to create a compelling and attractive user experience in your mobile applications. This webcast will also include an example of how to create a framework that could be used to simplify the development of custom user interfaces. Are interessted in? I hope so!!! Windows CE Platform Builder Monthly Updates for January 2009 are here! follow this link, if you're interessted in or using .NET Microframwork. What’s this? This update provides an update to the .NET Micro Framework Platform SDK 3.0 documentation. This is a post for our readers from Down Under: If you are interested in Windows Embedded POSReady, attend MS free onsite Seminar! - And the latest HW and systems suitable for your clients from POSPOS. Register here for the Webinar! REMINDER: Windows Mobile App Dev: Microsoft Technical Chat TODAY! Don’t miss today’s FREE MS Technical Chat! All MS supplied BSPs have the appropriate implementation already included but some 3rd party BSPs unfortunately do not. There is however a very easy, yet not very sophisticated way to implement the kernel profiler. Sue Loh’s articele “Poor Man’s Monte Carlo” describes the necessary steps explicitly. This method is a great way if you do not have a free timer on your HW and hence you have to instrument the system tick for the purpose of kernel profiling. Now all you need to do to enable profiling is to set the IMGPROFILER environment variable which can be found in your project properties and make a run-time image. Now you are set to go. One thing to keep in mind is, that you should not try to draw any conclusions from a short run of the kernel profiler. Via the Target Control (CE Shell) which can be started from the PlatformBuilder IDE. Here a KITL connection is needed. The command looks as follows: prof on off [DataType ][ StorageType][OtherOptions]. The output will be displayed in PlatformBuilder’s Output window after you stop profiling. Stand aloe on the device via the ProfileStart and ProfileStop API. There is some sample code in the MSDN help: “Controlling the Kernel Profiler by Using the Profiler API”. In this case the output will be displayed in a terminal program using the debug UART connection. Also the target devices keyboard or command prompt can be used to control the kernel profiler. The command prompt works just like the Target Control with the prof on off [DataType ][ StorageType][OtherOptions] command whereas there are special key mappings for keyboard usage. Although most of this information is available in the MSDN help, a lot of people have asked me about it, so I hope this is a helpful summary of the kernel profiler under Windows CE. How to find memory leaks under Windows CE? The Application Verifier tool can detect and pinpoint memory leaks, handle leaks (such as critical sections and DLLs), and leaks in graphics device interface (GDI) objects. The tool can also detect some forms of heap corruption. LMemDebug records all the heap operations (plus callstacks) into memory. It discards callstacks for freed allocations, so that you only track callstacks for apparent leaks. It can also give you heap statistics like total allocation counts and list of recent allocations. It is controlled entirely from the Target Control Window --> KITL is required. The output is not really "comfortable" and some documentation stuff is located under: %_WINCEROOT%\public\common\oak\drivers\lmemdebug\lmemdebug.txt. But it is very useful for memory investigations in the OS environment (e.g. leaking drivers). EB - Windows Embedded Gold and Training Partner - is offering a Windows Embedded CE 6.0 R2 Training course from March 24th - March 25th. Whether you would just like to get a basic overview of Windows Embedded CE or if you prefer a "dive in the deep end", this course will provide you with a valuable insight on building an image, developing drivers and writing applications. Moreover it will give you the possibility to learn best practices by "chatting" with the experts. In this Webinar you will learn form Eunice Shin, Microsoft - Senior Product Manager – Windows Embedded Point of Service and Terry Warwick, Microsoft - Program Manager – Windows Embedded POSReady about Windows Embedded POSReady 2009. Register here for the Webinar and win a ZUNE Digital Media Player! today I want to discuss the last but not least question of our series. What if I have set up my system to use script files instead of the PlatformBuilder IDE? What do I need to do in order to use the IDE? We learned previously that we can set up an automated build outside of the PlatformBuilder IDE. Therefore we need pbxmlutils.exe and a .pbxml file. Now if you are starting a new project it is quite simple to create a .pbxml file we simply need to create a new OSDesign project. But how can we accomplish the task of creating a .pbxml file if we have a lot of script files that set up our build environment? Well we need to correlate the variables set in the script files to variables set via the catalog in the PlatformBuilder IDE. If necessary we even need to create new catalog items but this is easy to do from within the IDE. Some variables might not be set in the catalog but instead in some platform internal .bat files. Unfortunately it can be quite challenging to map all the variables from our scripts to the IDE but it is definitely doable and in the end worth the effort as the system will be a lot more usable in the end. Once we have created our .pbxml file, all that is left to do is open an existing project in the PlatformBuilder IDE with our just created .pbxml file to create our .sln file and we are ready to use the IDE from now on! Windows Embedded Standard 2009 Virtual Lab now online! Ever wanted to try out new Software without having to install it on your computer or setup a virtual Image? Well if "Yes" is the answer, then the folks from the Embedded Standard Team have got just the solution for you - A Windows Embedded Standard 2009 Virtual Lab. In the 90 min Lab you get to know the tools required to build your own WES image with some of the latest features that come with WES 2009, e.g. Silverlight Support. For those of you who have already gone through an MSDN Virtual Lab, you will already know that another good thing, is that you can pause and re-start the lab as much as you want to do - that's what I call "doing a lab at your own pace". I want to start a daily automated build hence the IDE is not desirable. Is it possible to have the developers use the IDE and yet start an automated build without starting the IDE? Lastly, let me share one more consideration with you. As we learned in yesterdays post, we should only change code in our BSP. To make sure that no code was changed in the Private directory, simply don’t install PlatformBuilders shared source option on your daily build machine. there are new possibilities to chat with experts from Microsoft about Windows CE and Windows Mobile developement. This chat will cover the tools and technologies used to develop applications using the Windows Mobile operating system. Are you interessted in? I hope so, then don't forget to put this date in your schedule!!!! Do you have tough technical questions regarding Windows Embedded CE or Windows Mobile for which you're seeking answers? Then a Windows Embedded CE and Windows Mobile Live Chat which is comming soon at 24th February 2009 (9:00 A.M. Pacific Time). Join this live chat with Windows CE experts and bring your the questions on! Have fun & join the chat(s)! Today let’s answer our 3rd question. What files do I actually need to check into my version control tool? Well as a general rule you don’t need to check in any generated files or files that you did not alter. Just as a reminder please only alter code in your BSP, which of course resides in the Platform directory! It is also possible to add code to the Public directory such as a file system but do not alter existing code anywhere but in your BSP! If code adjustments are necessary, please clone the code to your BSP before altering the code! Project settings which can be found in our OSDesigns directory. Now remember, generated code is not needed in our version control so we only need to check in a couple files here. For instance we do not need to check in the Reldir subfolder. If needed any 3rd Party components we added to the Public directory such as a new file system. So you see there are only a handful of files that would need to be checked in into our version control system.